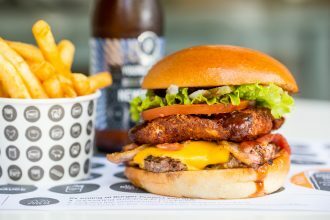 Beer Cartel has released their 2018 awards for craft beer, with one of Queensland’s own coming in at Number 1. The 2018 Australian Craft Beer Survey by Beer Cartel has been released, revealing that craft beer is the only segment of the Australian beer market which continues to grow, while overall beer and alcohol consumption is in decline. 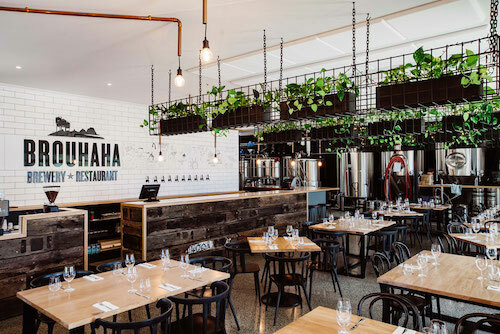 Without further ado and in correlation with Beer Cartel’s 2018 awards, here are Hunter and Bligh’s Best Craft Beer Breweries in Queensland. Voted Australia’s best craft brewery and Queensland’s favourite craft beer bar, Balter Brewing focuses on the fact that enjoyment in life comes from doing what you love. Balter Brewing takes pride in and loves their beer, and it certainly shows, from their success in these awards and the many others their beers have won. Green Beacon Brewing Co are a proudly independent brewery built on quality and integrity. Their focus is on flavour, balance and consistency, and promise that their beer provides a safe anchorage in any port. Their core range include pale ale, lager and stout, while their season range changes periodically. Michael McGovern (Govs), Eddie Oldfield and Dan Norris started a brewing company from a conversation-over-beers, which since then has taken off and continues to grow. 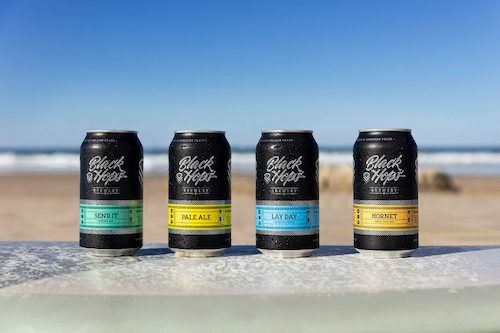 The three friends now have award-winning beers that are unpasteurised, gluten-reduced and and made with no preservatives in Burleigh Heads, on the Gold Coast. Newstead Brewing Co was born in a 1940s steel warehouse, which provides the perfect setting to produce their 100% Brisbane brewed six core range beers and a cider. Their drinks offer a little bit of something for a lot of people, in their own words, and have been doing so since December 2013. Burleigh Brewing Co was born in 2006 to Peta and Brennan in the laid-back town of Burleigh Heads. Since then they have expanded to a team of 50 and are creating world class local beer. Their ethos, “balance, character, soul” is embodied in their beer, which has been been lovingly crafted and reflects the beliefs that Peta and Brennan share. “In between a rock and a hard place in Milton sits our production brewery and pub,” is how Newstead Brewing Co introduce their newer and slightly more shiny brewery. Serving food, beer and providing lots of big machines to gawk at, Newsteads, Milton brewery is the right place to relax in the afternoon, beer in hand. 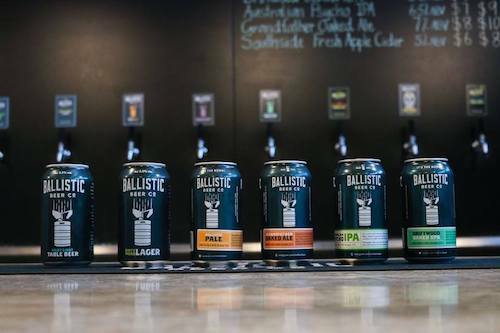 With their business grounded in the belief everyone deserves a quality crafted beer, Ballistic Beer founders David and Lachy agree great beer and a great place to drink is what they want their business to be. Now, their core series, including the Pilot Light Table Beer, the Dirty Word Lager, their Pale Ale and the Australian Psycho IPA, are loved by locals and in high demand. In the hills of the Sunshine Coast hinterland is a town called Maleny, which is the home of Brouhaha Brewery and Restaurant. With a strong focus on community and local produce, the love for craft beer is strong within their four walls, from the chefs to the bar staff. 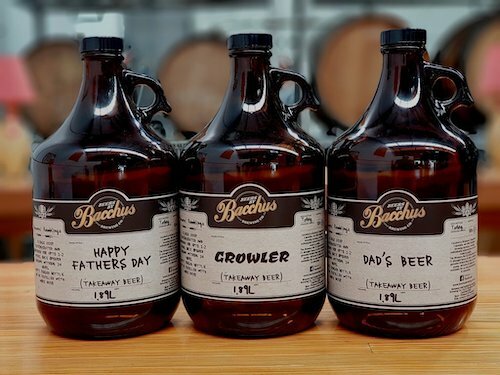 Award-winning micro brewery Bacchus Brewing Co are known as having some of the most interesting and flavourful beers in Queensland. They specialise in bespoke brewing for the trade and public, reproducing favourite styles, developing house brews, reviving ancient brews and simply creating “one off” unique beers for the bar and events around the country. This boutique brewery and bar off West End’s legendary Boundary Street is locally famed and loved. Award winning craft beers set the tone and are complimented by their innovative food menu. 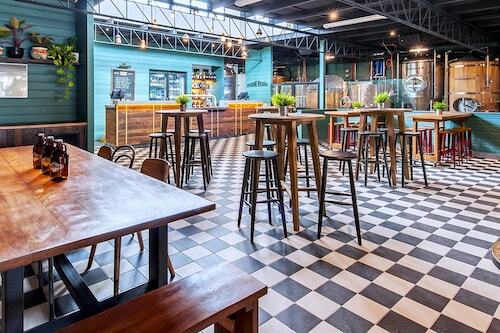 The venue combines an airy beer garden with an open-plan brewery, and creates the perfect vibe to enjoy their beer. For the full list of all venues nominated 2018 Australia’s Best Craft Brewery Venues visit Beer Cartel’swebsite.